* Published as two books, Blackout and All Clear do not work as two separate stories. This is one tale spread over two volumes. As such I am writing one extra long review and spreading it between the two books. ** As this is a time-travel book with events reported in a non-linear manner, I am writing this review as a ‘non-linear’ ‘time-travel’ review. I’ve labelled the paragraphs and then jumbled them up between the two reviews. You poor schmucks have to make sense of my drivel (if such a thing is possible) – think of it like a puzzle, or a game, yeah? *** Sometimes I wonder; is my brilliance perhaps outshone only by my modesty? I don’t agree with his conclusion, but I highly recommend checking out Kemper’s superb roasting of this fine book! 3) There were historical and setting fact errors. - Dear reader, your Mum is a “historical and setting” fact error. Yes, I’m juvenile enough to find that funny. I’ve spent a lot of time in London and nothing jumped out at me as being stretched beyond the limits of narrative credibility. 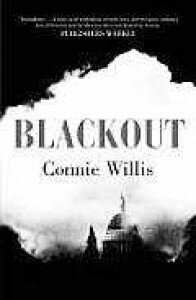 I’m not a blitz expert, but I feel the books offer a convincing and engrossing vision of blitz-time London. I have to go… I think I just spotted my retrieval team! So. Here we are. I see some of you looking at me askance (isn’t that a lovely word, askance?) because I’ve flattered and defended these books, this story, and yet only given Blackout 3-stars and All Clear 4-stars. Well, yes. It’s true; the story does have flaws, I cannot deny it any longer! 2) These characters are stupid. They do stupid things. They don’t think. I hate them. - Dear reader, sometimes smart people can be stupid. I have a friend who is an Oxford grad. He’s a brilliant computer scientist. But I’ve seen him get baffled by a manual can opener. These characters are historians, anthropologists and actors – but they are still, at heart, Oxford academics. When things go wrong, they panic – they seize on odd hopes and worry endlessly about things outside their control. They’re fallible, error-prone, and human. I quite liked them all. My own experience of Blackout was delayed several months as my wife stole my newly arrived copy (she’s a bigger Willis fan than me – perhaps because she worries more?). Darling Wifelet then wedged the book under the baby’s pram with all her shopping while she was out and about it town… and lost the book. Which she then worried about telling me… Do you suppose there’s a direct correlation between Willis fans and worriers? 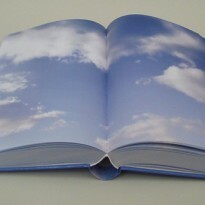 4) The entire book consists of inner dialogues of them fretting about stupid, trivial crap! - Dear reader, now we’re cooking with gas! The emotion which permeates this story is anxiety. Worry, stress, angst, dread, call it what you will. I have some experience with anxiety disorders and Willis does such a good job at replicating the constant, wearying, nagging sense of restless unease that at times I found it acutely discomforting. It’s easy to name stories of love, lust, greed, fear, vengeance, guilt, faith, ambition, pride, etc. But ‘worry’ – that unglamorous emotion which stalks us when we try to sleep – worry is rarely the headline act. I can understand why this insidious sense of anxiety would disappoint so many readers – who likes to read about people getting stressed-out? It might not be entertaining, but this endless circling of the problem (like a cork in a draining bathtub) had an echo of Truth (yes, with a capital T) that made it far more valuable to me than an escapist adventure.